Dr Jengo's World: Marvel Heroes Diary: Jan 27 2014 - Celebrating Australia Day! Marvel Heroes Diary: Jan 27 2014 - Celebrating Australia Day! 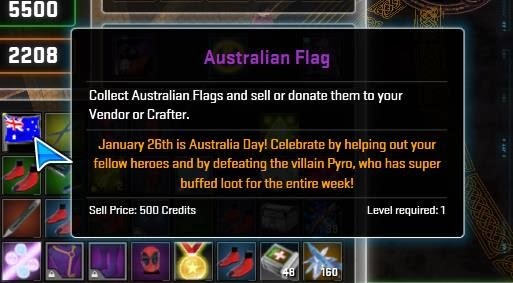 With Patch 2.14 comes plenty of updates, including Marvel Heroes' celebration of Australia Day! Some of the features included in the celebration are these Australian Flag and Koala drops..
Koalas are given out as a daily reward but with some luck, they can drop as well. The 10k sell/donate value is a nice touch to help with the new Enchanter Crafting level. Gonna farm these as much as possible! The Colossus Outback costume was also on half-price sale so I spent some remaining Gs on this. 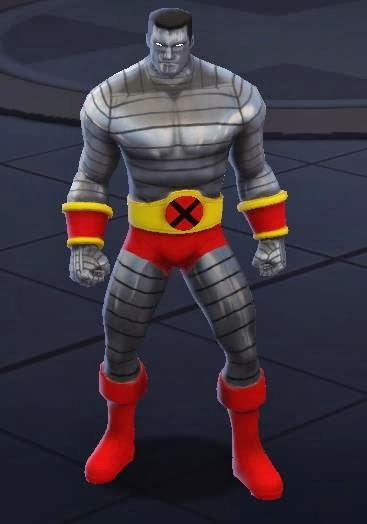 I actually liked this costume when I started out playing Colossus but it wasn't included in the Ultimate Pack so I'm glad to get it at half-price. Went on a Dr Doom run in the new Cosmic Terminal with a couple of other members from the Marvel Heroes Online - Players Guild and it was rewarding! 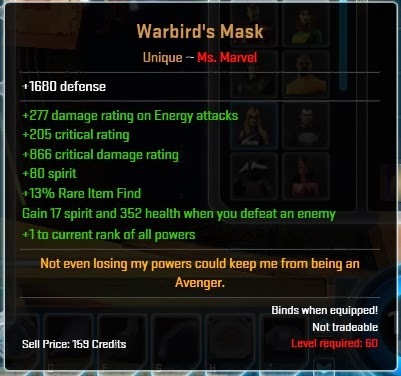 Got 2 uniques including the newly released unique for Hawkeye. 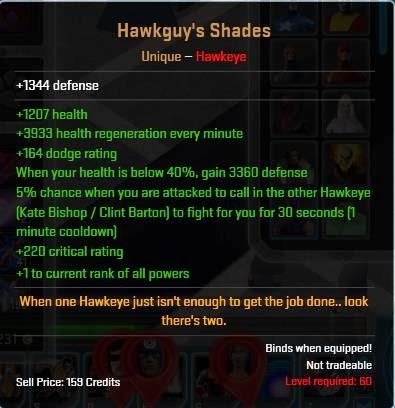 Gotta say the Hawkeye unique seems very interesting as well as powerful. Too bad I don't have a Hawkeye character at the moment. Plenty of new stuff in the latest patch, can't wait to try them all!